There is a definite lifecycle to vendor risk management. There is a beginning, a middle and an end to the overall service provider relationship. 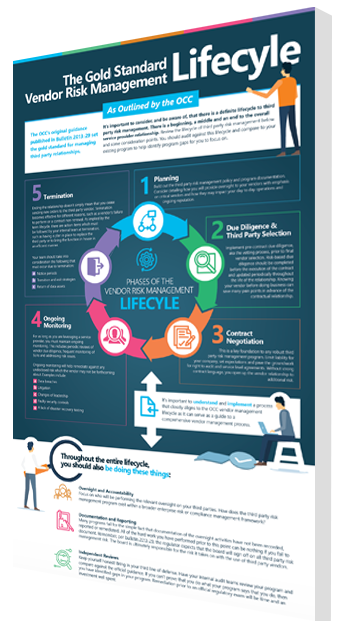 With Venminder's latest infographic, you can compare this lifecycle to your existing program to help identify program gaps for you to focus on.